Following a sold-out run in 2018, Ian Rickson’s exquisite production of Brian Friel's masterpiece returns. Ciarán Hinds (Game of Thrones, Girl from the North Country) reprises his critically acclaimed role of patriarch and schoolmaster, Hugh, whose livelihood and culture are at risk. Brian Friel’s modern classic is a powerful account of nationhood, which sees the turbulent relationship between England and Ireland play out in one quiet community. Talks and events to be announced later in the year. A flawless production. A culture-clash masterpiece. *Some of the best seats in the house are premium priced. They help to ensure we can continue to offer low price seats for all our productions; the National Theatre is a charity and only 17% government-funded. This year nearly 30% of our tickets are available for £20 or less. 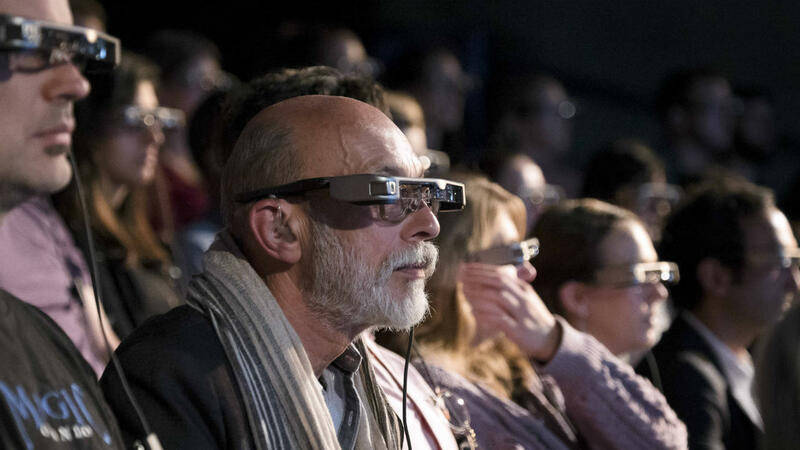 Smart caption glasses are a revolutionary new way for people with hearing loss to enjoy performances at the National Theatre. For the first time, service users can experience our productions, including this one, from any seat in any theatre.